Reprinting. Delivery may be delayed. 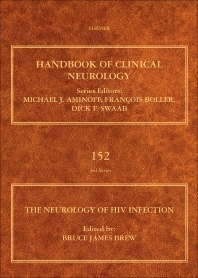 The Neurology of HIV Infection covers all aspects of nervous system involvement and pathology in HIV-infected individuals. Specialists in this field cover epidemiology, global aspects, pathology and pathogenesis of nervous system disease in HIV-infection. All complications, including the pathology caused by HIV itself and all opportunistic infections of the nervous system are reviewed in detail. Both central nervous and peripheral nervous system complications, including neuropathies and myopathies, are discussed. Key chapters on global developments, HIV-associated neurocognitive disorders, IRIS, stroke and neuro-aids in children complete this volume. Bruce Brew is Professor of Medicine (Neurology) University of New South Wales and University of Notre Dame, Director of the Peter Duncan Neurosciences Unit St Vincent’s Centre for Applied Medical Research and neurologist at St Vincent’s Hospital Sydney. He graduated in Medicine from the University of Sydney (MBBS Hons) and holds two higher degree doctorates – Doctorate of Medical Sciences from the University of Sydney and a Doctorate of Science from the University of New South Wales. He has a long standing interest in HIV neuropathogenesis particularly in relation to cognitive impairment at both clinical and basic science levels, and HIV related neurological complications in general. He has designed and participated in numerous clinical trials related to HIV brain disease and written over 350 papers and four books with approximately 15,000 citations (Scopus). He serves on the editorial boards of several journals, including AIDS, and several societies including the International Society for Neurovirology. 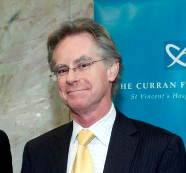 In 2015 he was awarded the Order of Australia for his services to Neurology.